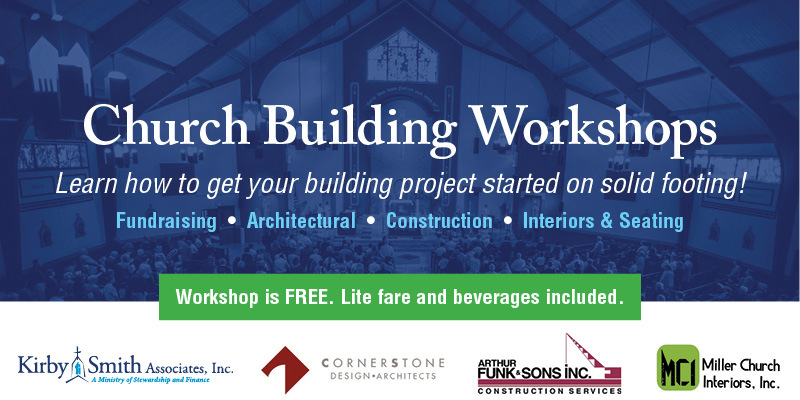 Learn how to get your building project started on solid footing with one of our upcoming workshops! Lite fare and beverages are included. 6:00 – Fundraising: Kirby-Smith Associates, Inc.
7:30 – Interiors and Seating: Miller Church Interiors, Inc. Please list names of any other attendees.